Driving any one of these performance machines is a dream for most automotive enthusiasts. evo was able to drive, not one but all four of these dream cars. The Porsche 911 GT2 RS, Ford GT, Lotus Exige Cup 430 And Mercedes AMG GT R are all cars that are as at home on a track or on a twisting back road. These are all made to go fast, but they use different methods to achieve that goal. At this year’s Paris Motor Show along side the new Panamera 4 E-Hybrid, Porsche debuted the new 911 GT3 Cup car. The new GT3 Cup is safer, faster, more durable and more efficient. It has been said that a picture is worth a thousand words. Because of this we will attempt to daily share a picture that we find interesting and post just a small amount about the picture. Make sure to subscribe to our Daily Rides updates to get notified of the latest picture each day. Feel free to share each picture on social media or on a blog, we just ask that you link back to the original article. Continue reading for a bit about the picture. 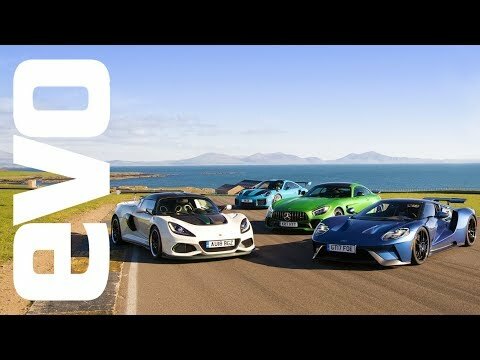 Each day we will share an automotive video that we think you will enjoy. Unlike other articles featuring a video we won’t give our thoughts on this video, but will just give a brief description and share the car related footage. Mazda has announced the ten drivers from the United States that will be racing in the new Mazda MX-5 Cup Global Invitational. The competition will take place at Laguna Seca and will pit some promising talent against each. The MX-5 may not be the fastest sports car, but it is always a lot of fun to watch the roadsters battle it out on the track. There is also often a bit of contact, which is one reason that many call racing versions of the MX-5, Piñatas instead of Miatas. I was shopping at Target today and parked right up front was a 70’s Plymouth’s Duster. After seeing it, I’m hoping to get a classic muscle car soon. Let's make a deal Great daily driverIMS UPDATED NEW CLUTCH & SLAVE CYL.65,000 milesManual transmissionGT3 SpoilerGT3 Interior & BadgingGT3 AerokitGT3 SuspensionNew coils/plugsNew window regulatorsNew ignition switch New headlightsNew air intake racing filterNew transmission fluidOil changed every 5,000 milesClean carfaxFor more information call (602) 321-8838Car located in the Las Vegas, Nevada area.